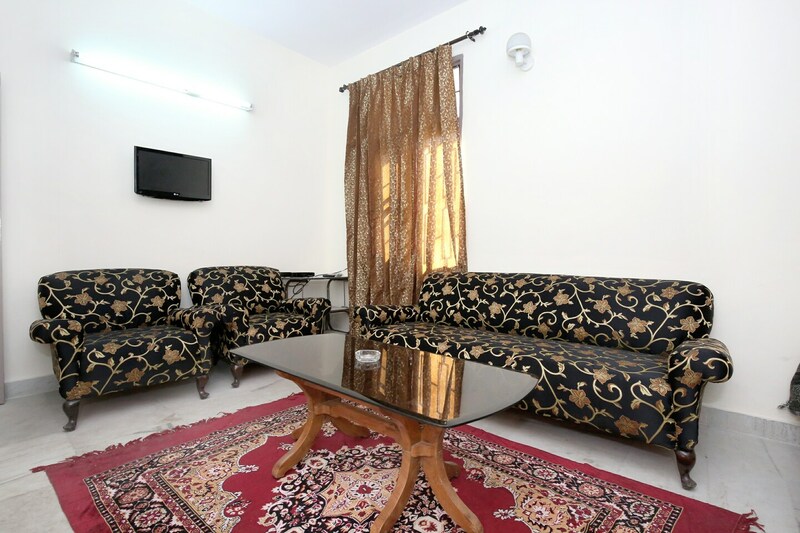 Located in the Beautiful and serene hill station Shimla, The house facilitates a relaxed, comfortable stay. The rooms include a dining area fitted with a refrigerator, a mini fridge and a room heater. The bed-rooms have a TV set, contemporary design beds, latest amenities, comfortable sofas and open into balconies that overlook the evergreen forest. The bathrooms have geysers. A tidy space, the kitchen is equipped with essentials. Shoghi Railway Station is located nearby; some restaurants, markets and ATMs are a short walk away. Attractions Khushala Hanuman, Tara Devi Temple and Mahunaag Temple are also close by.